William Russell began offering comprehensive health insurance plans from its head office in the United Kingdom in 1992. Popular with individuals, expatriates and international companies, William Russell’s varied and innovative products have resulted in a large customer network which now spans some 190 countries. The company’s reputation within the health insurance industry continues to grow and it has received a number of awards in recent years. One such award was for dedication to international customer services and it is in this area where William Russell has become an industry leader. High levels of customer support are guaranteed and an impressive 96 percent of policyholders expressed their satisfaction with how their claims applications were processed. 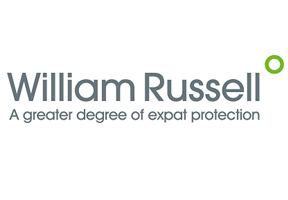 William Russell policyholders who are resident in or relocating to Thailand or Malaysia can avail of six medical insurance plans specifically created for expatriates in these two countries. Advice and information on these plans can be requested from our support staff and they would be happy to provide you with the relevant details. It seems like a long time ago now but before I departed the UK for Asia, a number of my family and friends recommended William Russell to me and I am proud to say they have been my health insurance provider ever since. On occasion, I required hospital treatment for a number of minor illnesses and their UK customer support staffs were most obliging in how they handled my requests for information and any subsequent claims. I can honestly see no reason why our relationship cannot continue in the long term and I am quick to recommend William Russell to my young expat British colleagues. I contacted Thailand health insurance for advice on which plans could offer me and my family the typical family protection while also providing us with some sports coverage options. My wife and I are keen outdoor enthusiasts and in addition to looking after our kids we enjoy keeping fit and active. When my wife required surgery on a broken wrist after a rollerblading accident, our tailored expatriate family plan with William Russell covered the hospital bills and a number of out-patient treatments that would otherwise have cost me a hefty sum! We can provide you with information on William Russell or on Thailand health insurance in general once you have submitted the request form which can be found at the top of this page. Alternatively, our staff can also be contacted directly here should you require additional health insurance advice.